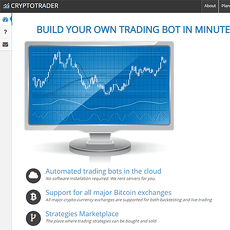 BTC Robot's website consists of one long string of copywriting along with several videos. 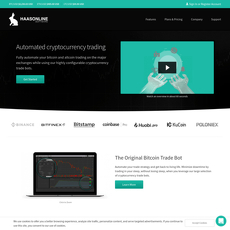 This is all in place to convince website visitors to purchase the automated bitcoin trading bot when the visitors scroll down the bottom. The website not secure so is most likely lacking an SSL licence. There are a number of different options if you would like to purchase the trading bot. The platinum package costs $399 and is a lifetime membership that comes with premium support. The other options are silver which costs $19.99 monthly and allows you to run the bot on one approved broker. The gold plan costs $39.99 monthly and allows users to run the bot on three approved brokers. These rates are far higher than competitor rates and the whole website design seems to be focussed on motivating users to buy one of these packages with little discussion on technical details. Reports from online state that the bot is easy to set up and although it does not perform exactly as the marketing material would imply, it is not a scam. It has been established in 2013 which gives it a considerable history in the cryptocurrency industry. Has been reported to be easy to set up.